The list is perhaps a little shorter than usual, but I've been a bit preoccupied with watching Arrested Development and Veronica Mars recently. Apparently, there's a new series of AD coming out next year, as a lead up to the much hyped feature length movie. I'm so excited I could scream, but I'll try to contain myself for the time being. Hopefully the new episodes will be just like the (awesome) first two seasons of the show, rather than (funny but patchy) third season. Right, then, a quick discussion of the movies I've seen over the last seven days. In the 'very good' category, we have Midnight In Paris and Tyrannosaur. 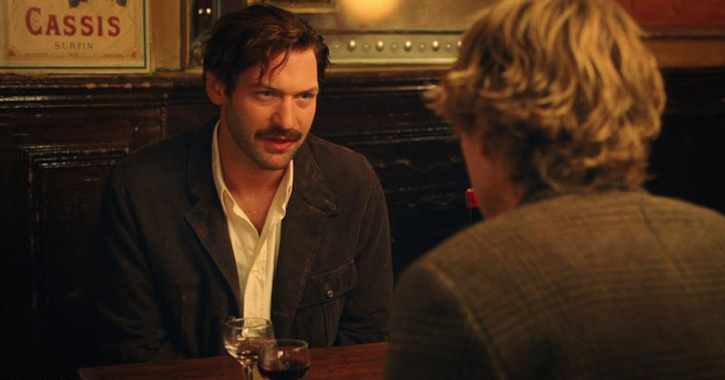 Pretty much any half decent film that Woody Allen releases these days is hailed by the critics as a 'return to form', but in the case of Midnight In Paris, those critics weren't exaggerating. Owen Wilson makes for an effective Woody-surrogate as an idealistic young screenwriter on holiday in Paris, who finds himself transported each night to the roaring twenties, a time he views as being a Golden Age for Western civilisation. Although the scenes set in the present day are a little heavy handed at times, whenever Wilson returns to the past (and meets with luminaries such as Ernest Hemingway, Gertrude Stein, Pablo Picasso and F Scott Fitzgerald) the film is an absolute blast. While Midnight in Paris is a light and frothy concoction, Tyrannosaur is something far darker and more disturbing. Directed by the brilliant Paddy Considine, it's a realistic and unflinching examination of male violence and domestic abuse set in a unnamed, grim Northern town. Leads Peter Mullan and Olivia Colman are both incredibly good in their respective roles. However, rather like We Need To Talk About Kevin and Lilya 4 Ever, it's one of those films which, due to its unpleasant subject matter, will be tough to return to in the future. I didn't see anything which I would regard as bad this week, but the rest of the movies I saw were good but flawed. Both Take Shelter and In Darkness were interesting but overlong pictures which could have done with some judicious editing to remove a bit of flab from their middle sections. Dead Presidents (which was directed by Albert and Allen Hughes when they were both in their early twenties) is an unusual mix of a nostalgic look back at the '70s and heist picture, and also offers an interesting African American perspective on the events of the Vietnam war. 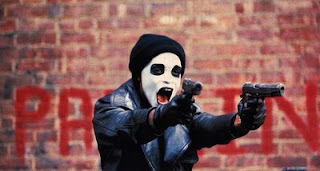 However, the ending to the film felt rushed, with the protagonist Anthony Curtis (Larenz Tate) driven to crime, then forced to face his punishment all within the space of about 20 minutes. "Ernest Hemingway: You ever hunted?